Yes, THE FUTURE. Where everything goes “FWOOM” and “BEEP.” Or, in this case, where it’s oddly silent. 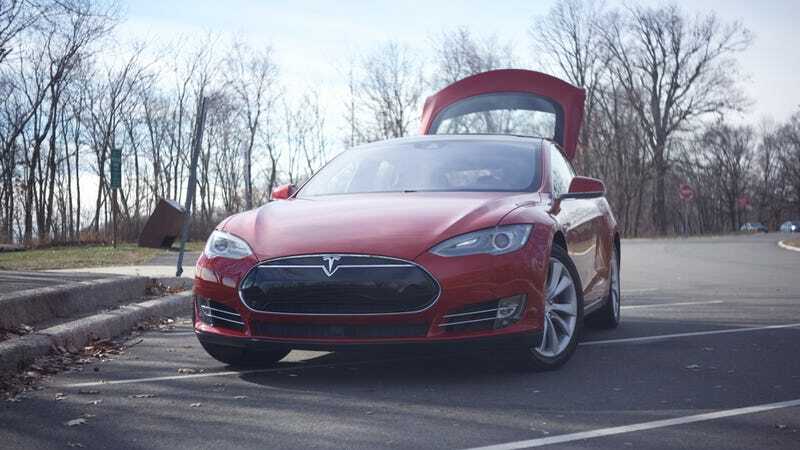 Because over the next two days, we’re going to be driving over 700 miles, from New York to Detroit, in a Tesla Model S. And we want you to come with us. Is the road trip from the future going to be any different from one in the past? And if that’s enough, there’s always a ridiculous amount of horsepower and enough acceleration to rip your face from, well, your face. But road trips aren’t about the joys of slogging through thousands of miles of Interstate, or seeing how much face detachment can be had (though there will be plenty of both of those). It’s about journey, and destination, and experiences. I hate all of my coworkers, naturally, so there should be plenty of those. We’re going to be getting it all on video for the upcoming season of Neat Stuff in Cool Cars, but for the time being, we want you to join us. We’ll be here in the comments, courtesy of a Mi-Fi, as much as we can, and you can find us on Twitter under the hashtag #FutureTrip.